It’s been three years since Danny Ocean (GEORGE CLOONEY) and his crew -- fronted by detail man Rusty Ryan (BRAD PITT), up-and-coming pickpocket Linus Caldwell (MATT DAMON), explosives expert Basher Tarr (DON CHEADLE) and safecracker Frank Catton (BERNIE MAC) -- pulled off one of the most audacious and lucrative heists in history, robbing ruthless entrepreneur Terry Benedict (ANDY GARCIA) of every dime stored in his impenetrable Las Vegas vault. After splitting the $160 million take, each of the infamous Ocean’s crew have tried to go straight, lay low and live a legit life... but that’s proven to be a challenge, much to the chagrin of Danny’s wife Tess (JULIA ROBERTS). Download Ocean's Twelve in Digital HD from the iTunes store. 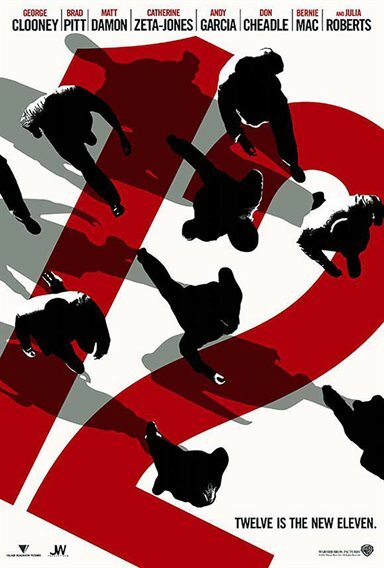 Ocean's Twelve images are © Warner Bros.. All Rights Reserved.